Undoubtedly, one of the great attractions of San Cristobal Island are its paradisiacal beaches with white sand and turquoise waters. The water in these beaches does not contain much sediments, which gives it a perfect transparency for aquatic activities. If you are preparing your luggage, take your snorkel mask and water shoes, because on these beaches you can swim very close to the beach with numerous aquatic species. Do not forget your camera, because enjoying lying on the beach surrounded by sea lions gives rise to numerous scenes that you will like to take a souvenir home. If you are a lover of water sports here you will also find the best beaches to enjoy any of its varieties: surf, kite surfing for the more daring, paddleboarding and kayaking for beginners. Lots of travel agencies offer you tours to visit the following beaches, but you can visit on your own just following our maps. If you stay in Puerto Baquerizo Moreno, you will be located in a perfect place to choose which beach to go to, depending on the direction in which the wind blows. 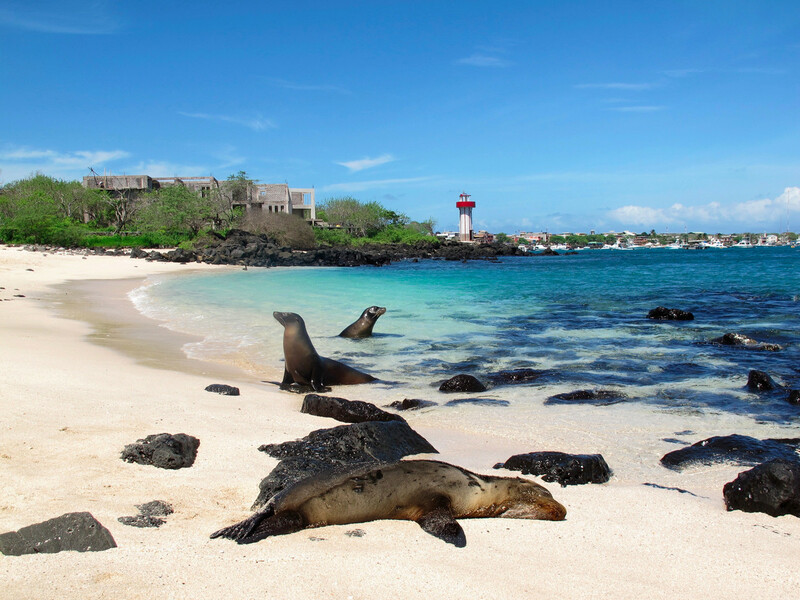 These are the recommendations that we make from Galapagos Low Cost. Check the weather you are going to do, and enjoy our wonderful beaches. First, our beloved beach of La Lobería. On days when the sea is calm, it is a wonderful beach to spend the day on the beach and have a first contact with the world of surfing. The beach is one of the most beautiful in San Cristobal, and surely the sea lions that rest there make you smile all day long. The beach is 10 minutes walk from the port and can be visited without being accompanied by a naturist guide. 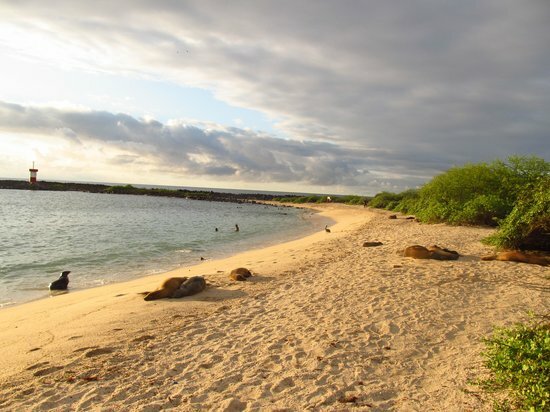 It is an ideal place to spend the day surrounded by sea lions, who come in large numbers to rest at this beach. It has free showers, and a small open cabin where you can have a picnic in the shade. In Playa Ochoa the access is limited to only 160 meters that the beach occupies, the whole area that surrounds it is an area of ​​restricted access, so you can only reach it by boat. Many of the tours that visit the León Dormido or Isla Lobos make a stop on your journey in this wonderful beach. 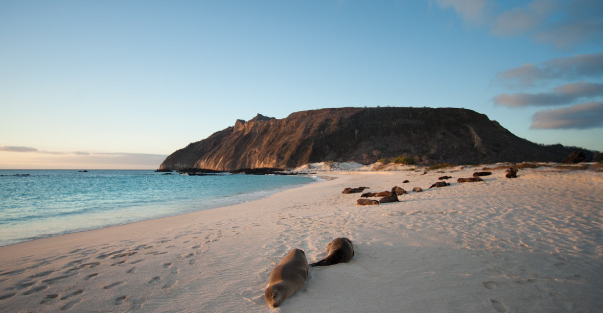 The boat trip lasts 30 minutes from Baquerizo Moreno, in the area there is a considerable colony of Galapagos sea lions, and hermit crabs. Near the beach there is a pond that is constantly visited by migratory and coastal birds. It is one of the places where you can see the endemic nightingale of San Cristóbal. The beach of Cerro Brujo is next to a volcanic cone formed as a result of the eruptions of the dormant volcanoes of the island. The beach of fine white sand and crystal clear waters, is at the foot of the hill. It is a magnificent place to rest after visiting the Kicker Rock. The only way to access this beach is by boat. 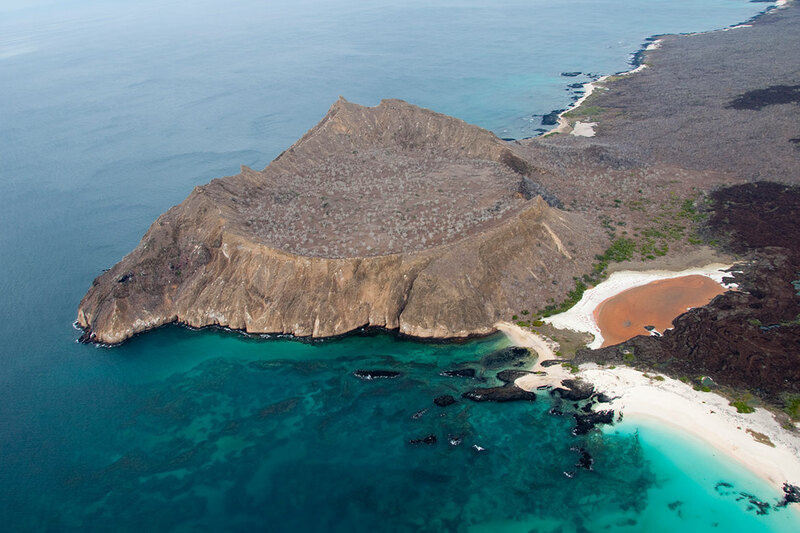 On the beach we can enjoy an unbeatable view of the Kicker Rock, surrounded by sea lions. It is located north of the island, just next to Punta Pitt. In Punta Pitt you can find a huge variety of birds, living with the iguanas that inhabit this part of the island. In addition, you can enjoy a very special and colorful vegetation, completely different from the rest of the island. Once the tour is finished, the Punta Oliviana beach is the ideal place to rest and recover your strength before starting the return journey. In order to access the northern area of ​​San Cristobal, you will have to do it by boat, since most of the island has its restricted access to preserve this unique ecosystem. Calm perfect beach to begin in the snorkeling, and enjoy on the beach surrounded by sea lions. You will find abundant vegetation in the surroundings, very grateful in days of intense heat. Next stop is Puerto Grande, a beach with a lot of history. Between the fifteenth and seventeenth centuries, the beach was a popular stop for fishermen and corsairs who came to deposit their treasures. 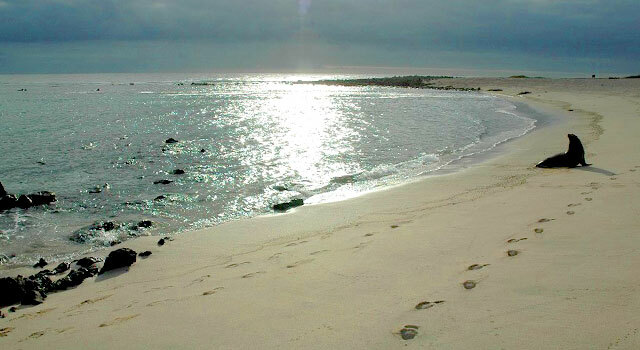 According to the legend, on this beach are hidden many treasures that have not been found. It is the closest beach to the sleeping Lion, so it is a perfect place for a well-deserved rest after the tour. While you lie on the beach with white sand and crystal clear waters, enjoy the countless species of migratory birds. Several species have chosen Puerto Grande to settle in their mating season. Although it is not so close, it is totally worth visiting and enjoying a relaxing day on this beach. To get there you have to agree on a round trip with a taxi and walk about 15 minutes until you reach it. 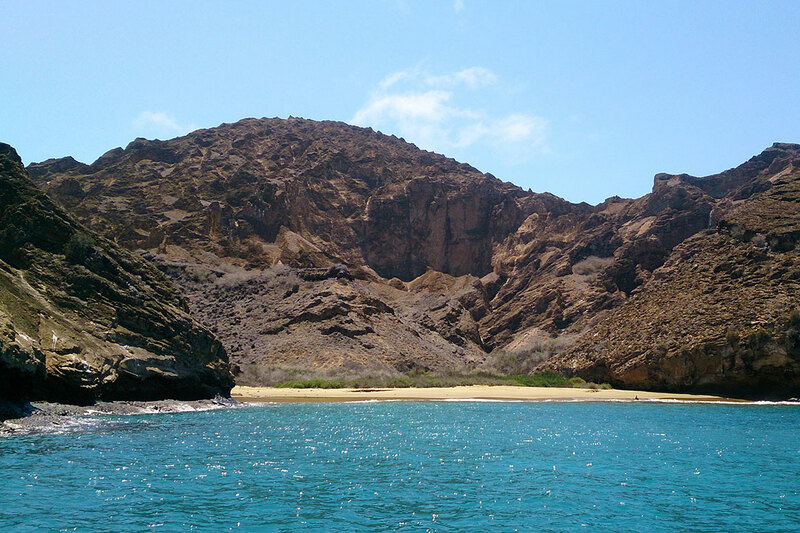 If you want to know more about San Cristóbal Island, here we explain you everything! If you have everything ready, check the weather . 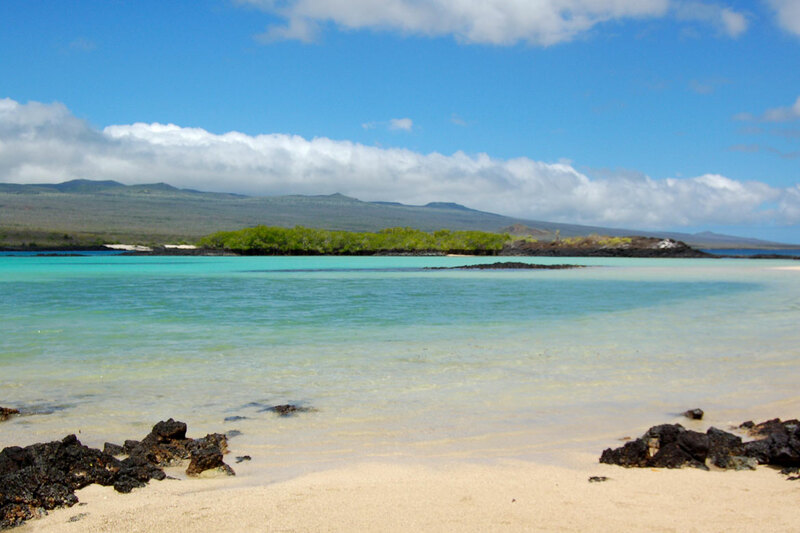 Do you need some help organizing your trip to the Galápagos Islands?